It’s only high powered multi-nationals and technology companies that are at risk from surveillance that seeks to undermine their business interests, right? Wrong, whatever your business, if you have an edge on your competitors, someone will want to know about it. Bug sweep detection could be the only way to ensure this doesn’t happen. Anything that gives you a competitive edge over the rest of your business sector could be seen as a threat to the livelihood of your competitors. If they are unable to find out about it through legal or even persuasive means, they may turn to surveillance. However, there are steps you can take to keep the risk of surveillance to a minimum. Firstly, take a look at your general security measures. Do you know who is in the building at any time and why they are there? Are visitors escorted around the premises? Are work orders from outside contractors checked along with IDs? These are very simple but effective ways to counter surveillance attempts. You also need to look at your staff; have you run background checks, collected references, and discussed the need for confidentiality with them? How do you ensure that the same rules apply to agency or temporary staff? Members of staff have easy access to numerous areas of your business, and this makes them the prime individuals to place discrete bugs or cameras. If you still find that your secrets are being leaked, it might be time to invest in a company to complete a bug sweep. It is always better to be safe than sorry. At Advanced Sweeping, we take your concerns for your business seriously. We respond to calls for bug sweep detection quickly anywhere in the country. Our staff work to the highest standards of confidentiality, and will keep their investigations as low key as possible. 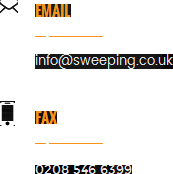 To find out how we can help you keep your competitive edge, visit http://sweeping.co.uk/.